CBS ran the prime-time table Tuesday in total D-FW viewers, but its three major broadcast network rivals all entered the winner’s circle among advertiser-prized 18-to-49-year-olds. NCIS as usual ranked as the overall top draw with 337,406 total viewers before CBS’ FBI (260,084) and NCIS: New Orleans (217,908) both won their time slots. Among 18-to-49ers, ABC’s 7 to 8 p.m. comedy combo of The Conners (45,288) and The Kids Are Alright (48,307) won that hour before NBC’s This Is Us ran first at 8 p.m. (57,365) and Fox4’s local newscast took the 9 to 10 p.m. slot with 54,346 viewers. CBS11 won at 10 p.m. in total viewers while TEGNA8 drew the most 25-to-54-year-olds (main advertiser target audience for news programming). It was otherwise a series of sweeps, with Fox4 scoring twin wins at 6 a.m., NBC5 running the table at 5 p.m. and CBS11 uncommonly ruling at 6 p.m. in both ratings measurements. The New England Patriots’ throttling of the inept Buffalo Bills put ESPN’s Monday Night Football in the ratings driver seat again. Outpointing all other TV attractions, the game averaged 288,201 D-FW viewers and 120,768 within the advertiser-craved 18-to-49-year-old motherlode. Monday’s prime-time runner-up in total viewers, NBC’s The Voice, drew 246,026 of ‘em while tying Fox’s 9-1-1 for a distant second place among 18-to-49ers (48,307 apiece). NBC’s 9 p.m. special, A Very Wicked Halloween, scared up prime-time’s lowest overall ratings in the Big Four broadcast network universe, with just 77,322 total viewers. ABC’s Dancing with the Stars had the smallest haul of 18-to-49-year-olds (a puny 15,096). Here are the local news derby results for the third weekday of the November “sweeps” ratings period. TEGNA8 and CBS11 tied for the most total viewers at 10 p.m., but TEGNA8 was alone on top with 25-to-54-year-olds (main advertiser target audience for news programming). Fox4 as usual/always swept the 6 a.m. competitions while NBC5 had the most total viewers at both 5 and 6 p.m. Fox4 and NBC5 shared the 6 p.m. lead among 25-to-54-year-olds, with Fox4 winning outright at 5 p.m. 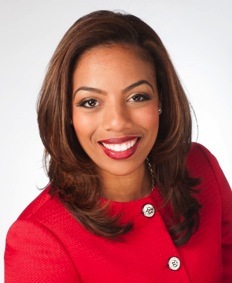 Her biography has been removed from the station’s website, and several sources say that Alisha Laventure no longer is with Dallas-based TEGNA8 after joining the station in July 2016. Sources tell unclebarky.com that Laventure’s dismissal was work performance-related. Mungo told the Star-Telegram’s Robert Philpot that she couldn’t say any more beyond acknowledging Laventure’s exit. Initially hired as the station’s weekend Daybreak anchor, Laventure moved quickly to a more visible daytime slot as co-anchor of TEGNA8’s 4 p.m. weekday newscasts with Jason Wheeler, who now is soloing. She also had filled in lately on weekday editions of Daybreak. Laventure, whose parents are natives of Haiti, gained some national prominence in January with a TEGNA8 commentary denouncing President Trump’s derogatory comments about immigrants from Haiti and other “shithole countries.” Laventure’s response reportedly received more than five million views on Facebook, where she hasn’t posted anything since Oct. 11th. She hasn’t tweeted anything via @AlishaLaventure since Sept. 12th. 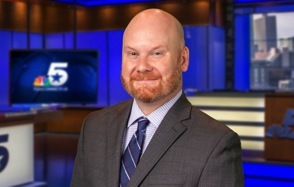 After serving as interim NBC5 news director since early August, John Stone is now engraved as the Fort Worth-based station’s Vice President of News. The announcement came late Monday afternoon from NBC5 president and general manager Tom Ehlmann. Stone, who joined the station in 2017 from New York’s WABC-TV, had been assistant news director until Mark Ginther was let go in August for undisclosed reasons. He spent 13 years at WABC after earlier working at WBZ-TV and WHDH-TV in Boston, and MSNBC. “I am thrilled to have the opportunity to lead such a talented and committed group of journalists,” Stone said. In the early stages of the November “sweeps” ratings period, NBC5’s newscasts are first-place contenders at 5, 6 and 10 p.m., but could just as easily run second or even third at those hours. At 6 a.m., Fox4 has an ironclad grip on first place, with NBC5 in a scramble for the second spot in total viewers but unlikely to finish higher than third among 25-to-54-year-olds (main advertiser target audience for news programming). Despite two history-rich teams competing, Fox’s World Series between the victorious Boston Red Sox and the again defeated Los Angeles Dodgers had a tough go in the weekend D-FW ratings. Saturday night’s Game 4 narrowly outscored ABC’s competing Texas-Oklahoma State game by a score of 281,172 total viewers to 267,113. Sunday’s climactic Game 5 couldn’t quite overcome opposition from NBC’s Sunday Night Football. The Peacock’s New Orleans Saints-Minnesota Vikings matchup averaged 365,524 viewers while the World Series clocked in at 358,494. Among advertiser-coveted 18-to-49-year-olds, Texas-Oklahoma State outdrew the World Series on Saturday night before Game 5 and Sunday Night Football basically finished in a tie via rounded-off Nielsen numbers. Sunday’s final game of the World Series benefited from a big lead-in from Fox’s Los Angeles Rams-Green Bay Packers game, which was the day’s most-watched TV attraction in total viewers with 520,168 while also ranking No. 1 among 18-to-49ers. Now let’s move to Friday’s record 18-inning, 7 hour and 20 minute Game 3 of the World Series, which didn’t end until a walk-off home run by the Dodgers at precisely 2:30 a.m. How many total viewers were still watching (or sleeping with their TV sets still on) in the game’s final quarter-hour? The Nielsen numbers say that 133,567 of you (and me) were still tuned in. The audience for the game peaked at 302,260 total viewers between 9:45 and 10 p.m. Opposite Friday’s Game 3, the only one won by the Dodgers, CBS’ 9 p.m. episode of Blue Bloods ranked as the runner-up TV attraction with 231,967 total viewers. Here are Friday’s local news derby results for the second weekday of the November “sweeps” ratings period. CBS11, an early contender at 10 p.m., won a downsized three-way race in both total viewers and with 25-to-54-year-olds. Fox4 swept the 6 a.m. and 5 p.m. competitions, with TEGNA8 blighted by “hashmarks” (no measurable audience) in the 25-to-54-year-old ratings at 5 p.m. The 6 p.m. firsts were split between NBC5 in total viewers and Fox4 in the 25-to-54 demographic. 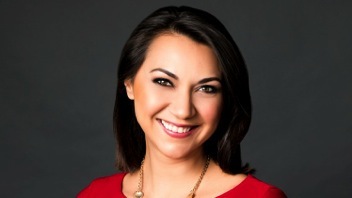 Reporter/anchor Monica Hernandez is leaving Dallas-based TEGNA8 after a four-year stay, the staff was informed Friday. She joined the ABC affiliate in October 2014 from WWL-TV in New Orleans after also spending four years at that station. Hernandez could not immediately be reached for comment, but sources say she has accepted an anchoring position at a TV station in the Northeast. She’ll remain at TEGNA8 for part of this month. Hernandez, a San Diego native, graduated from Syracuse University in 2007 with a major in broadcast journalism and international relations, and a minor in Spanish. At TEGNA8, Hernandez primarily reported from the field while also filling in as an anchor. This is the reality for major league baseball. Fox’s regular season Thursday Night Football game between the Houston Texans and Miami Dolphins outdrew the first two games of Fox’s World Series. The Texans’ 42-23 rout of the Dolphins, which stretched to 10:43 p.m., averaged 295,231 D-FW viewers and picked up an additional 63,264 stragglers for the NFL Net simulcast. Games 1 and 2 of the Boston Red Sox-Los Angeles Dodgers championship matchup each drew 274,143 viewers. So on Fox alone, football had the edge on both nights, with extra gravy from NFL Net. Among advertiser-coveted 18-to-49-year-olds, Thursday Night Football pulled in 102,653 viewers, with an additional 39,250 watching NFL Net. Game 1 of the World Series drew 87,557 viewers in this key demographic and Game 2 inched up to 90,576. It otherwise was the first weeknight of the four-week November ratings “sweeps.” In total viewers, CBS won the 7 to 8 p.m. hour with new episodes of The Big Bang Theory (302,260) and Young Sheldon (281,172). Football then took over, building to a peak audience of 316,319 on Fox alone for each of the 15-minute segments between 9:30 and 10:15 p.m. In the 18-to-49 realm, Big Bang won its half hour before Thursday Night Football reigned for the rest of the night. OK, here are the local news derby results for opening day of the sweeps. CBS11 drew the most total viewers at 10 p.m. in a downsized three-way race while NBC5 won with 25-to-54-year-olds (main advertiser target audience for news programming). Fox4 cruised to another 6 a.m. sweep, where it hasn’t lost a single weekday since Good Friday (March 30). At 6 p.m., CBS11 took the total viewers gold and Fox4 won among 25-to-54-year-olds. Fox4 and NBC5 shared the 5 p.m. lead in total viewers, with Fox4 alone on top with 25-to-54-year-olds. Baseball’s biggest stage again hit for a low average Wednesday night while still outscoring all prime-time rivals. Game 2 of the World Series on Fox, a 4-2 win by the Boston Red Sox over the Los Angeles Dodgers, averaged 274,143 D-FW viewers and 90,576 within the 18-to-49-year-old age range. It ended at 10:22 p.m.
Last year’s second game, an 11-inning, 7-6 win by the Houston Astros over the Dodgers, went all the way to 11:36 p.m. But it still drew a far bigger crowd, with 398,838 total viewers and 152,909 in the 18-to-49 realm. Tuesday night’s Game 1 also was outdrawn by a wide margin compared to last year’s opener. CBS’ 7 p.m. edition of Survivor ranked second to Red Sox-Dodgers with 203,850 total viewers while ABC’s 8 p.m. episode of Modern Survivor was the runner-up with 18-to-49ers (48,307). Here are the local news derby results on the eve of the four-week November “sweeps” ratings period. NBC5 won a downsized three-way race at 10 p.m. in both total viewers and with 25-to-54-year-olds (main advertiser target audience for news programming). Fox4 swept the 6 a.m. and 5 p.m. competitions. At 6 p.m., TEGNA8 won by a hair over CBS11 in total viewers while NBC5 was tops with 25-to-54-year-olds. Last October’s Game 1 of the World Series, played in a remarkably crisp two hours, 28 minutes and including a Texas team, easily bested this year’s 3 hour, 52 minute opener without any (more or less) local angle. The Los Angeles Dodgers’ 3-1 win over the Houston Astros averaged 391,716 D-FW viewers, with 156,030 in the advertiser-prized 18-to-49-year-old age range. Tuesday night’s 8-4 win by the Boston Red Sox over the Dodgers fell hard to 274,143 total viewers and 87,557 in the 18-to-49 realm. Both games were on Fox, which can be comforted by the wall-to-wall World Series win among 18-to-49ers despite Tuesday night’s big year-to-year drop off in that key demographic. Competition included NBC’s The Voice and This Is Us, CBS’ NCIS and ABC’s The Conners. Among total viewers, NCIS drew the biggest crowd (288,201) while The Voice beat the opening innings of the Series from 7 to 8 p.m. Fox then took control from 8 p.m. until closing. ABC’s to 7 10 p.m. lineup ran last across the board in total viewers among the Big Four broadcast networks. Here are Tuesday’s local news derby results, with the November ratings “sweeps” set to fire up on Thursday. NBC5 won a downsized 10 p.m. race in both total viewers and with 25-to-54-year-olds (main advertiser target audience for news programming). Fox4 had twin wins at 6 a.m. while NBC5 swept the 5 p.m. proceedings. At 6 p.m., TEGNA8 drew the most total viewers and Fox4 won among 25-to-54-year-olds. ESPN’s Monday Night Football has struck again, ranking as prime-time’s overall top attraction in both major ratings food groups. The Atlanta Falcons-New York Giants matchup averaged 260,084 total D-FW viewers, nipping NBC’s 7 to 9 p.m. edition of The Voice (253,055). But it was no contest among advertiser-prized 18-to-49-year-olds, with MNF averaging 105,672 of ‘em while The Voice ranked a distant second with 63,403. At 9 p.m., ABC punted with a rerun of its new series The Rookie, and fell to last place in the Big Four broadcast network universe with 63,264 total viewers and 12,077 in the 18-to-49 realm. In contrast, the overall winning attraction among the Big Four, CBS’ competing Bull, had 231,967 total viewers. It also led among 18-to-49ers with 42,269. Here are Monday’s local news derby results, with the four-week November “sweeps” ratings period on the horizon and starting on Thursday, Oct. 25th. CBS11 won in total viewers at 10 p.m., and Fox4 drew the most 25-to-54-year-olds (main advertiser target audience for news programming). Fox4 swept the 6 a.m. races as usual/always. NBC5 drew the most total viewers at both 5 and 6 p.m. 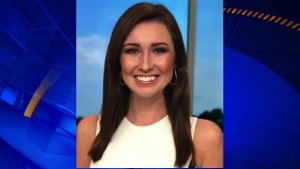 The top scorers with 25-to-54-year-olds were Fox4 at 5 p.m. and CBS11 at 6 p.m.
Dallas-based Fox4 has named Kylie Capps as the station’s new weekend morning meteorologist. She’s scheduled to start on Nov. 5th after arriving from Waco’s ABC affiliate, KXXV-TV. Capps majored in meteorology at the University of Oklahoma after being raised in Dallas, according to Fox4’s mini-bio of her. The station now has five meteorologists, with Dan Henry still heading the team. The newcomer replaces Jennifer Myers, who left Fox4 in May and now is the meteorologist for North Texas-based ONCOR Electric. The Dallas Cowboys’ continued inability to win on the road hit new levels of frustration Sunday when a tying field goal attempt clanked off the left upright after refs assessed a highly questionable illegal motion penalty against the team’s center. It resulted in a 20-17 road loss to the Washington Redskins and also blew a chance to move into first place in the NFC East. The ratings were a downer, too. Last year’s regular season Game 7 on Fox, a 33-19 Cowboys victory at Washington, averaged 1,289,100 D-FW viewers and 514,899 within the advertiser-coveted 18-to-49-year-old age range. This year’s Game 7, in which CBS got a Cowboys-Redskins face-off for the first time since 1993, dipped to 1,145,776 total viewers, with 422,688 in the 18-to-49 realm. In prime-time, NBC’s Sunday Night Football matchup of the Kansas City Chiefs and Cincinnati Bengals ranked second for the day with 400,670 total viewers in outpointing Fox’s early afternoon game between the Carolina Panthers and Philadelphia Eagles (365,524). Sunday’s prime-time bottom-feeder among the Big Four broadcast networks, ABC’s 9 p.m. edition of The Alec Baldwin Show, had a measly 35,147 total viewers. On Saturday night, the Dallas Mavericks and star rookie Luka Doncic made their home court debuts in a high-scoring thriller that ended with the Mavs edging the Minnesota Timberwolves. Alas, just 49,205 total viewers tuned in, with 21,134 in the 18-to-49 motherlode. Meanwhile, the sad state of Major League Baseball’s post-season playoffs was underscored by the puny audience for Game 7 of the NLCS between the Los Angeles Dodgers and Milwaukee Brewers. Shunned by the Fox broadcast network and relegated to its cable alternative, FS1, the game averaged just 98,410 total viewers and 18,115 within the 18-to-49 age range. The night’s biggest scorer, ABC’s competing Purdue-Ohio State game, drew 140,586 total viewers and 39,250 in the 18-to-49 demographic. Fox’s prime-time Oregon-Washington State game also drew more 18-to-49ers than Dodgers-Brewers. On Friday, the prime-time leaders were Fox’s 7 p.m. episode of Last Man Standing in total viewers (238,996) and the network’s following The Cool Kids among 18-to-49-year-olds (54,346). Two stations split all the spoils. Fox4 swept the 6 a.m. competitions in total viewers and with 25-to-54-year-olds (main advertiser target audience for news programming) and NBC5 did likewise at 6 p.m. The Peacock had the most total viewers at 10 p.m. while Fox4 won among 25-to-54-year-olds. It was the same outcome at 5 p.m., with NBC5 first in total viewers and Fox4 on top with 25-to-54-year-olds. Fox’s Thursday Night Football got stuck with two losing teams, with one of them putting on one of the worst shows in prime-time NFL history, save for those who had the Denver Broncos as their Fantasy defense. Nonetheless, the Broncos’ 45-10 walloping of the pitiful Arizona Cardinals outdrew all of the night’s alternatives except for CBS’ 7 to 8 p.m. combo of The Big Bang Theory and Young Sheldon. And among advertiser-coveted 18-to-49-year-olds, the game won across the board. Big Bang, most of which aired before football started, drew the most total D-FW viewers with 323,348. Young Sheldon followed with 281,172 before the NFL pitched a shutout for the rest of the night on Fox alone (not counting the NFL Network tack-on for its simulcast). The game overall averaged 224,938 viewers. In the 18-to-49-year-old realm, Broncos-Cardinals clubbed the opposition all night, finishing with an average of 90,576 for a game in which Denver led 35-3 at halftime. On TBS, the Boston Red Sox closeout of the Houston Astros in Game 5 of the American League Championship Series drew roughly half the audience for football in the total viewers measurement and about one-fourth the audience among 18-to-49ers. CNN’s 6 to 7 p.m. town hall meeting with Texas Democratic Senate candidate Beto O’Rourke (Republican incumbent Ted Cruz declined) drew 40,067 total viewers to make it the network’s most-watched program of the day. In Wednesday’s prime-time programming parade, NBC’s 8 p.m. hour of Chicago Fire had the most total viewers (217,908) while Fox’s 7 p.m. episode of Empire ranked No. 1 with 18-to-49-year-olds (51,326). Here are Wednesday’s and Thursday’s local news derby results. Wednesday -- The 10 p.m. firsts were split between NBC5 in total viewers and Fox4 among 25-to-54-year-olds (main advertiser target audience for news programming). Fox4 again swept the 6 a.m. competitions while NBC5 enjoyed twin wins at both 5 and 6 p.m.
Thursday -- NBC5 swept both the 10 p.m. and 5 p.m. races, with Fox4 notching another pair of 6 a.m. firsts. At 6 p.m., the Peacock and CBS11 tied for the lead in total viewers, but NBC5 was alone in first with 25-to-54-year-olds. Of note: In the 6 a.m. skirmishes, CBS11 finished second with 25-to-54-year-olds on both Wednesday and Thursday. That’s rarefied air for the station, which usually runs fourth in this key news demographic. TEGNA8, which previously had been creating some distance at 6 a.m. between rivals NBC5 and CBS11, limped in with a third place finish among 25-to-54-year-olds on Wednesday and ran last on Thursday. But TEGNA8’s attention-attracting traffic anchor, Demetria Obilor, has been on vacation of late and will return Monday. Could that have made that big of a difference? The November ratings “sweeps” start on Thursday, Oct. 25th. This is really something. TEGNA8’s 8 p.m. U.S. Senate debate from Houston between Republican incumbent Ted Cruz and Democratic challenger Beto O’Rourke easily outdrew parent network ABC’s debuts of both The Conners and The Rookie, starring fan fave Nathan Fillion. The one-hour 8 p.m. face-off, which preempted ABC’s season premieres of blackish and Splitting Up Together, had 260,084 D-FW viewers and 78,499 within the advertiser-prized 18-to-49-year-old demographic. In comparison, ABC’s Roseanne-less The Conners led off the night at 7 p.m. with 196,820 total viewers and 54,346 in the 18-to-49 realm. At 9 p.m., The Rookie fell to 126,527 total viewers, with 48,307 in the 18-to-49 age range. That ranked it fourth in the 9 p.m. hour in total viewers, but the show’s performance with 18-to-49ers was good enough to win the hour by a small margin over Fox4’s local newscast. ABC’s 7:30 p.m. premiere of the critically praised sitcom The Kids Are Alright also drew far fewer viewers than the debate in both ratings measurements. Cruz-O’Rourke impressively ran a solid second at 8 p.m. among 18-to-49-year-olds, almost outpointing NBC’s competing This Is Us (81,518 viewers). In the total viewer Nielsens, the debate ran a very competitive third at 8 p.m. behind This Is Us (281,172 viewers) and CBS’ new FBI (274,143), which had the advantage of another reliably strong lead-in from the network’s 7 p.m. new episode of NCIS (372,553). Meanwhile on FS1, a few of us Brew Crew loyalists stayed up until 1:26 a.m. to witness a 2-1 extra innings loss to the Los Angeles Dodgers. In the final quarter hour of the game -- 1:15 to 1:30 a.m., a total of 21,088 viewers were still watching, with 9,058 in the 18-to-49 age range. OK, here are Tuesday’s local news derby results. CBS11 swept the 10 p.m. competitions in both total viewers and with 25-to-54-year-olds (main advertiser target audience for news programming). Fox4 as usual/always did likewise at 6 a.m., where it hasn’t lost a single weekday since Good Friday. At 6 p.m., NBC5 won in total viewers and Fox4 was tops with 25-to-54-year-olds. The Peacock also led in total viewers at 5 p.m. while sharing the 25-to-54 gold with Fox4. D-FW’s CBS11 has filled its vacant investigative reporter slot with Alanna Autler, whose first day at the station was Monday, Oct. 15th. Autler arrives from NBC affiliate WSMV-TV in Nashville, where she spent the last four years as a TV gumshoe. 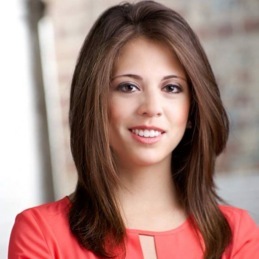 She also has worked at WOWK-TV in Charleston, VA, and is a journalism graduate of Northwestern University, where she attended the prestigious Medill School. Autler and investigative reporter David Boucher of Nahville’s The Tennessean were married a year ago and dubbed the city’s “Best Media Power Couple” by Nashville Scene. Boucher, now an investigator for The Dallas Morning News, is also a Northwestern University grad. Autler replaces Cristin Severance, who left CBS11 last month with her husband, Dan Haggerty, an anchor-reporter for the station. Both are now with Portland, OR’s KGW-TV. Here’s a compilation video of Autler aggressively in action. ABC’s annual American Music Awards show, which used to air on a Sunday or Monday, failed to top the charts as a Tuesday entry. The three-hour presentation ran third for most of the night in total D-FW viewers with an average of 126,527. Among the Big Four broadcast networks, that was good enough to outdraw only Fox’s Gifted (91,381) and Lethal Weapon (98,410) during the 7 to 9 p.m. portion of the AMAs. CBS’ NCIS as usual won the 7 p.m. hour in total viewers with 351,465. The network’s FBI (260,084) and NCIS: New Orleans (238,996) also won their time slots. Among advertiser-coveted 18-to-49-year-olds, NBC’s The Voice and This Is Us took the first two hours of prime-time before the closing hour of the AMAs won from 9 to 10 p.m. This Is Us, the night’s top draw in this key demographic, drew 87,557 viewers. CBS11 swept the 10 p.m. competitions in total viewers and with 25-to-54-year-olds (main advertiser target audience for news programming). Fox4 again cruised in both ratings measurements at 6 a.m. and NBC5 ran the table at 5 p.m. In the 6 p.m. races, NBC5 and TEGNA8 tied for the top spot in total viewers while the Peacock had first place to itself with 25-to-54-year-olds. New Orleans Saints QB Drew Brees set an all-time NFL passing yards record while ESPN breezed to a dominating prime-time win with Monday Night Football. The Saints’ 43-19 rout of the visiting Washington Redskins averaged 344,436 D-FW viewers, with 156,998 of them within the advertiser-prized 18-to-49-year-old demographic. Meanwhile, in the Big Four broadcast network universe, Fox’s 8 p.m. hour of 9-1-1 was the top draw in total viewers (253,055) while NBC’s 7 to 9 p.m. edition of The Voice averaged the most 18-to-49ers (66,422). NBC’s new Manifest stayed strong by winning the 9 p.m. hour in both ratings measurements. ABC’s The Good Doctor continued to falter in the 9 to 10 p.m. slot, running fourth in total viewers and with 18-to-49-year-olds. CBS’ Magnum, P.I. reboot continued to draw decent-sized crowds at 8 p.m., but still ran third in that hour in the two major ratings food groups, beating only ABC’s staggering Dancing with the Stars. Buoyed by the early season success of Manifest, NBC5 capitalized on the show’s robust lead-in to win at 10 p.m. in both total viewers and with 25-to-54-year-olds (main advertiser target audience for news programming). Fox4 again swept the 6 a.m. competitions while also scoring twin wins at 6 p.m. NBC5 drew the most total viewers at 5 p.m. and shared the 25-to-54-year-old lead with Fox4. Playing on NBC’s main stage Sunday night, the Dallas Cowboys’ 19-16 overtime loss to the Houston Texans outdrew last year’s similarly deflating Game 5 loss to the Green Bay Packers. Punting when he could have rolled the dice, Cowboys’ coach Jason Garrett subsequently blew up the post-game Twitter-verse with critics of his “gutless” (as many put it) decision. As for the game itself, it stretched to 10:45 p.m. and averaged 1,356,655 D-FW viewers, with 543,456 of them in the advertiser-coveted 18-to-49-year-old realm. Game 5 of the 2017 season, a 35-31 loss to the visiting Packers on Fox’s featured mid-afternoon to early evening game, drew 1,232,123 total viewers and 493,055 within the 18-to-49 age range. Game 2 of the ongoing season, also played on NBC’s Sunday Night Football, remains the most-watched to date with 1,428,693 total viewers and 599,155 in the 18-to-49 demographic. The Cowboys beat the New York Giants 20-13 in Jerry’s Palace. The weekend’s runner-up top TV attraction of course was Saturday’s early-starting Texas-Oklahoma game on Fox, where the offensive fireworks still haven’t died down following the Longhorns’ 48-45 upset win over the Sooners. The game averaged 653,725 total viewers, with 250,594 in the 18-to-49 motherlode. In Friday’s prime-time festivities, CBS’ 9 p.m. episode of Blue Bloods was the top overall draw with 246,026 total viewers. But the 18-to-49-year-old winner was Fox’s 7 p.m. episode of Last Man Standing with 48,307 viewers. Fox’s second episode of the new sitcom The Cool Kids won the 7:30 to 8 p.m. slot among 18-to-49ers, but was edged in total viewers by the second half of CBS’ competing Macgyver. CBS11 had the most total viewers at 10 p.m. while Fox4 won with 25-to-54-year-olds (main advertiser target audience for news programming). It was otherwise a day of sweeps, with Fox4 as usual/always running the table at 6 a.m. and NBC5 scoring twin wins at both 5 and 6 p.m.
CBS had Thursday’s two biggest prime-time scorers while the NFL still loomed large and audiences tuned out on two new fall comedies. The Big Bang Theory and its spinoff, Young Sheldon, gave CBS control of the 7 p.m. hour in total viewers with 344,436 and 323,348 respectively. Fox then took over with the rest of its Thursday Night Football encounter between the victorious New England Patriots and injury-ravaged Indianapolis Colts. The game averaged 295,231 total viewers and easily won the 8 to 10 p.m. slot. Among advertiser-coveted 18-to-49-year-olds, TNF won from start to finish with an average of 126,806 viewers in this key demographic. Now for the casualties. NBC’s I Feel Bad, making its regular time slot debut after a two-episode sneak preview last month, ran last among the Big Four broadcast networks at 8:30 p.m. with just 70,293 total viewers. The second episode of CBS’ competing Murphy Brown revival also continued to struggle, drawing 126,527 viewers at 8:30 p.m. after the preceding Mom fed it 224,938 viewers. The second season premiere of NBC’s Will & Grace also performed poorly with 91,381 viewers at 8 p.m. In the 18-to-49-year-old realm, Murphy Brown tied for a distant second in its time slot with 30,192 viewers while I Feel Bad tied CBS’ 9 p.m. episode of S.W.A.T. as the night’s loss leader with a paltry 15,096 viewers. Fox4 again controlled the 6 to 7 a.m. slot while NBC5 scored twin wins at 5 p.m. TEGNA8 nipped NBC5 by a sliver to win in total viewers at 6 p.m., but Fox4 was alone on top with 25-to-54-year-olds. NBC’s Chicago, Chicago, Chicago rescue dramas ran strong throughout Wednesday, sweeping the 7 to 10 p.m. hours in total D-FW viewers while also giving the Peacock prime-time’s most-watched shows. Chicago Fire led off with 203,850 viewers, followed by Chicago Med (217,908) and Chicago PD (203,850). Fox and Fox4 otherwise mostly led the way among advertiser-prized 18-to-49-year-olds. Empire took the 7 p.m. hour with 45,288 viewers in this key demographic. ABC’s Modern Family then won from 8 to 8:30 p.m. with 57,365 viewers (the night’s biggest haul among 18-to-49ers) before Fox’s second half of Star took command at 8:30 p.m. with 50,119 viewers. Fox4’s 9 p.m. local newscast won the full hour with 51,326 viewers in the 18-to-49 realm. ABC’s second episode of A Million Little Things continued to struggle at 9 p.m., ranking last among the Big Four broadcast networks in total viewers while beating CBS’ competing Criminal Minds by a hair among 18-to-49-year-olds in a battle for third place. NBC5 swept the 10 p.m. races in total viewers and with 25-to-54-year-olds (main advertiser target audience for news programming). Fox4 remained on cruise control at 6 a.m. with twin wins. NBC5 drew the most total viewers at both 5 and 6 p.m. while sharing the 6 p.m. lead among 25-to-54-year-olds with Fox4. The 5 p.m. win with 25-to-54-year-olds went to Fox4. The Kansas City Chiefs’ comeback win over the Denver Broncos, highlighted by the play of QB and Texas Tech alum Patrick Mahomes, took the overall top spots in Monday’s prime-time ratings. ESPN’s Monday Night Football presentation averaged 358,494 D-FW viewers and 169,075 in the advertiser-prized 18-to-49-year-old age range. In the Big Four broadcast network universe, the winners in total viewers were the 7 to 8 p.m. portion of NBC’s The Voice (260,084), Fox’s 8 p.m. episode of 9-1-1 (281,172) and the 9 p.m. second episode of the Peacock’s new Manifest (260,084). CBS’ premiere of the new sitcom The Neighborhood ran second in total viewers from 7 to 7:30 p.m. with 196,820 before the network’s other comedy debut, Happy Together, fell to 133,557 viewers in finishing third. Among 18-to-49ers, the time slot winners were The Neighborhood, Happy Together, 9-1-1 and Manifest. ABC’s Dancing with the Stars continued to skew north of Forest Lawn, drawing the smallest crowd of 18-to-49-year-olds (18,115) among all prime-time attractions on ABC, CBS, NBC and Fox. NBC5 rolled to twin wins at 10 p.m. in total viewers and with 25-to-54-year-olds (main advertiser target audience for news programming). Fox4 again crushed all comers at 6 a.m. while also sweeping the 6 p.m. competitions. NBC5 won at 5 p.m. in total viewers and shared the 25-to-54 top spot with Fox4. LOCAL TV NEWS NOTE: TEGNA8 anchor Cynthia Izaguirre has been off the air at 6 and 10 p.m. for a while, and on Monday night explained why on her Twitter account in response to viewer inquiries. Aguirre said she’s taking adoption leave so that she and her husband can adopt a child. She’s also having “a surgery” on Oct. 12th, Izaguirre said. That would keep Izaguirre off the air during the November ratings “sweeps,” which begin on Oct. 25th and run through Nov. 21st. In her absence, TEGNA anchor/reporter Marie Saavedra has been co-anchoring with John McCaa, who recently announced that he’ll be retiring in March. The Dallas Cowboys may have saved their season with Sunday’s dramatic 26-24 win over the visiting Detroit Lions on new kicker Brett Maher’s last second field goal. Their ratings didn’t show it, though, although newly released downturns in D-FW’s Nielsen population estimates were a contributing factor. Last season’s Game 4, also a noon starter on Fox, averaged 981,599 total viewers and 407,301 in the advertiser-coveted 18-to-49-year-old age range. Dallas lost that one, 35-30, to the visiting Los Angeles Rams. Sunday’s win, which ran from noon to 2:59 p.m. on Fox, drew 970,043 total viewers and 362,304 within the 18-to-49 realm. Here’s an asterisk, though. The new Nielsen estimates say that each D-FW rating point is worth 70,293 viewers, down from the previous year’s 71,221. The 18-to-49 values also are reduced, from 31,206 viewers per rating point to the new 30,192. Cord-cutting marches on. Later in the day, NBC’s Sunday Night Football matchup between the Baltimore Ravens and Pittsburgh Steelers had 492,051 total viewers and 226,440 in the 18-to-49 demographic. Both numbers easily led all prime-time TV attractions. On Saturday, the season premiere of NBC’s Saturday Night Live, with Matt Damon playing embattled Supreme Court nominee Brett Kavanaugh in the opening sketch, pulled in 182,762 total viewers and 66,422 in the 18-to-49 motherlode. Both tallies fell short of ABC’s prime-time college football matchup between Ohio State and Penn State, which the Buckeyes narrowly won with a big comeback. The game drew 224,938 total viewers and 87,557 in the 18-to-49 demographic. Friday’s biggest scorer, Fox’s debut of Last Man Standing a year after ABC canceled it, rolled to 330,377 total viewers from 7 to 7:30 p.m. before the network’s premiere of The Cool Kids made a solid showing with 231,967 viewers to also win its time slot. CBS’ returns of Hawaii Five-0 and Blue Bloods then took over with respective totals of 196,820 and 260,084 viewers. The night’s prime-time winners in the 18-to-49-year-old demo were the Fox/Fox4 lineup of Last Man Standing, The Cool Kids, Hell’s Kitchen and the 9 p.m. local newscast. NBC5’s 7 p.m. gubernatorial debate between incumbent Republican Greg Abbott and Democratic challenger Lupe Valdez lagged with 84,352 total viewers and 18,115 in the 18-to-49 measurement. In contrast, the previous Friday’s NBC5 U.S. Senate debate between Ted Cruz and Beto O’Rourke had 284,884 total viewers and 59,291 in the 18-to-49 realm. CBS11 ran first in total viewers at 10 p.m., while Fox4 drew the most 25-to-54-year-olds (main advertiser target audience for news programming). Fox4 swept the 6 a.m. competitions and NBC5 did likewise at 5 p.m. The 6 p.m. golds went to NBC5 in total viewers and Fox4 with 25-to-54-year-olds.